Fresh today – holiday support for employees on zero hour contracts! 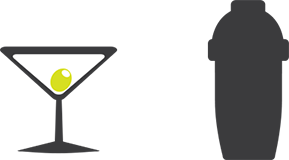 We’ve just made it even easier for you to manage time and attendance across your venues, with brand new support for zero hour contracts complete with an ‘accrue as you work’ holiday accrual system. It’s an exciting release day for us at Kobas HQ, and I know many of our users have been eagerly awaiting this one too. The new holiday system improves the current functionality for staff on normal full and part time contracts, but with brand new functionality to cater for those who may work irregular hours. Read on to find out more! How does the new zero hour holiday functionality work? 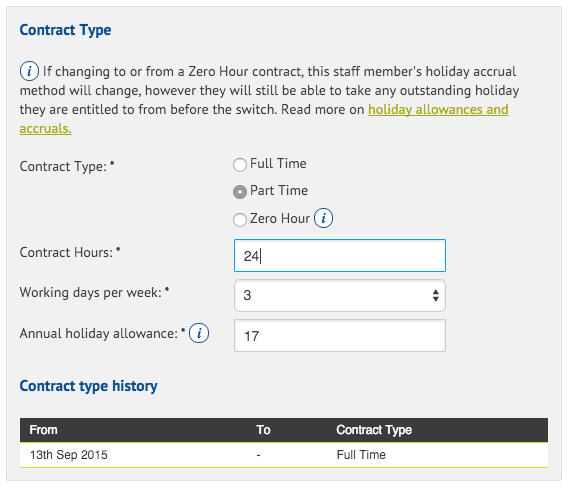 From today, you can set zero hour as an employee’s contract type and this puts them on an ‘accrue as you work’ holiday system, which works rather differently to the classic fixed yearly allowance system currently in play for all. On a zero hour contract, staff start with no holiday allowance and accrual. They then accrue 7.26 minutes of holiday per full hour worked (taken from the start of your holiday year or date at which they were set to zero hour). Their holiday accrual builds up in this fashion until they have earned 6 hour’s worth, at which point their bookable holiday allowance increases from 0 to 1 days – with 6 hours being the standard value of a holiday day on this contract type. Holiday continues to accrue in this way for the duration of your holiday year. At the start of the next holiday year, an employee’s allowance will return to zero to be built up again – allowing for full flexibility of working patterns. On the zero hour contract type, holiday days must be accrued before they can be booked, and the accrual values are rounded down – so holiday days must be fully earned before they can be requested. This system does not affect unpaid time off, which can be requested by any staff member at any point using the normal holiday request system in Kobas Cloud. How do things work for staff on full or part time contracts? We’ve always supported holiday for full or part time employees, but this area of Kobas has seen improvements with this release too. Now, when on-boarding a new member of staff and setting their contract type, we will recommend the appropriate holiday allowance for the number of days they work per week (always the legal minimum, but you can choose to allocate more if you’re the generous type). On full and part time contracts, we grant the employee their full annual holiday allowance upfront (calculated pro-rata if they start mid-way through your holiday year). This allows them to request any amount of their full allocation at any point during the year. In this instance accrual is used for reference only and is calculated based on the stage at which you are through your holiday year. When paid for, the value of a holiday day is calculated using the individual’s average shift length from the previous 13 weeks. I want to use this! What now? All the functionality is already live in your Kobas Cloud account, but if you don’t have an account yet then drop us a line! To get started with the zero hour holiday accrual system, you may wish to contact our support team and request a list of your team’s current contract type set up. From here, you’ll need to review the staff profile of each team member that needs amending and edit the pay details section to set the contract type. Contract type changes can be back dated, with the correct amount of holiday being automatically granted based on the date selected. If you move someone between contract types part-way through your holiday year, we will automatically calculate and retain any holiday allocation they were entitled to before the switch. For more details on holiday allowance and accrual in Kobas Cloud, please see our help guide.